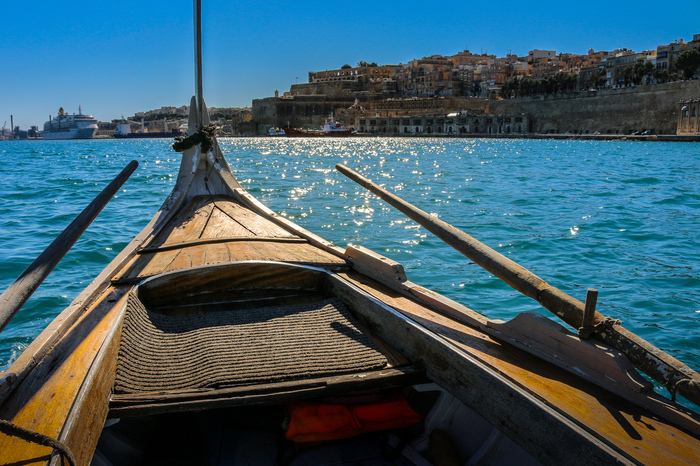 On our first day in Malta we enjoyed a personal guided tour with one of the most knowledgeable women on the island, Audrey Marie Bartolo, along with 3 other travel bloggers. 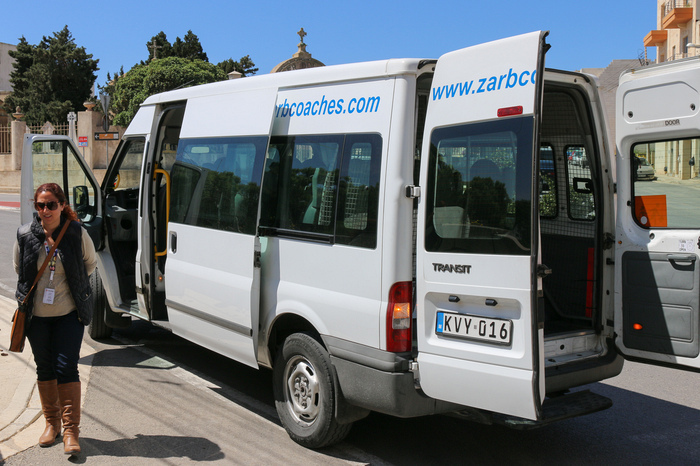 A mini bus collected us from our hotel that morning to commence our day around Malta. We started in the town centre at the rotunda before strolling over to St John’s Co-Cathedral. Adults are €6.00, under 12 are free, and it includes a free audio guide. 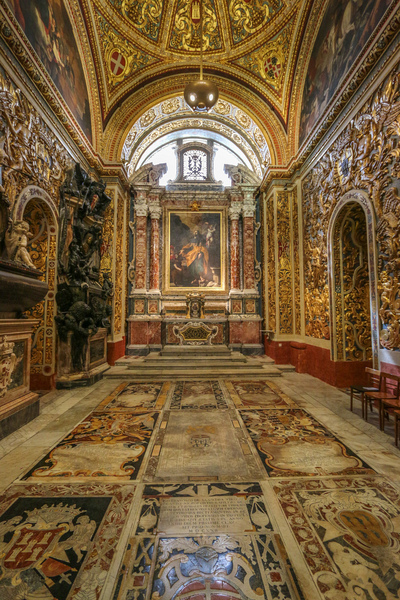 This ancient church is filled with glorious painted scenes from the life of St John. It was built between 1573 and 1578 by the Knights of Saint John and, while the exterior is rather unassuming, the internals are inspiringly ornate. 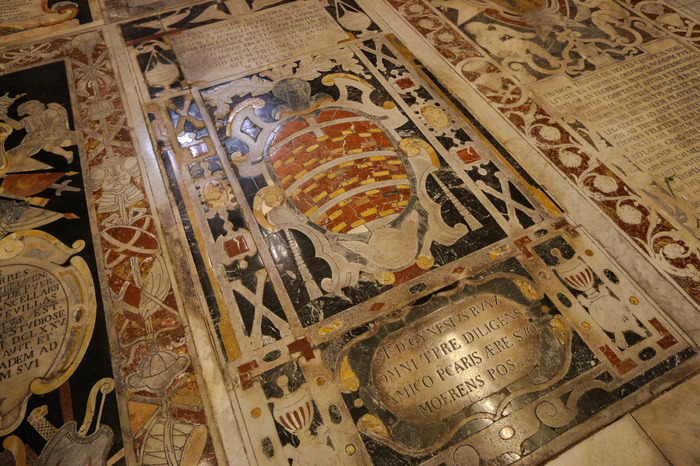 Frescos, paintings and carvings adorn every possible surface inside the church, and the floor is made up of over 300 knight tombs. The Church is just jaw-dropping wow and a must see in Malta. 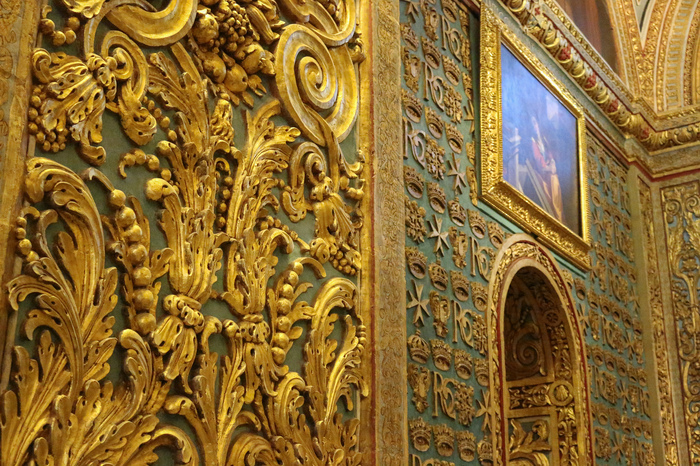 In addition, the Church houses several famous pieces of art by Caravaggio including the only one to ever been actually signed by him. Please note you’ll need to dress appropriately, but they do have sarongs for loan in case you forget. After our visit in the intricate and artistic church, we headed to the south-west of the island. 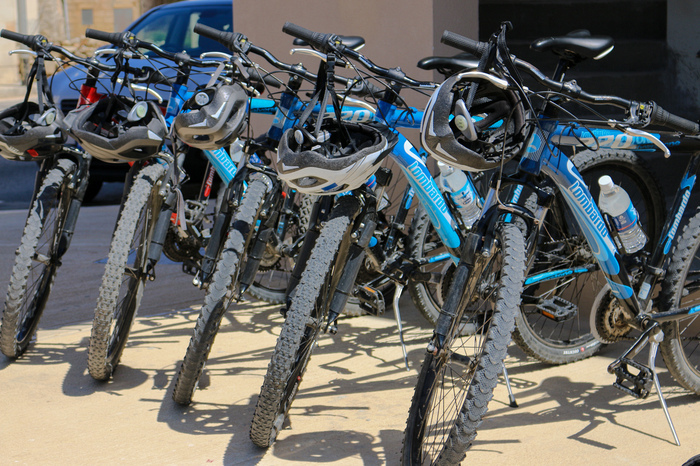 It was time for a bike ride. The kids were already tired so they opted to stay in the bus with our guide who was following behind. I’m thankful they did. It required a bit of exertion but the scenery was magnificent. Some of the narrow roads got very bumpy and a little steep, which I personally found much more adventurous and thrilling. Not so much when we had to ride the bike up the same hills. Phew! The roads wound through small farms and gardens which were filled with an amazing smorgasbord of aromas – lavender, citrus, strawberry, oh my! Those back roads, rolling hills and the fresh fragrant air provided a memorable experience. 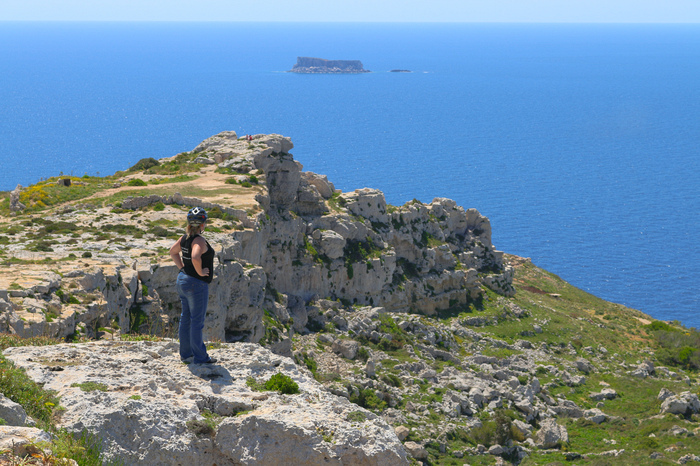 For a unique and authentic perspective on Malta, hire a bike. 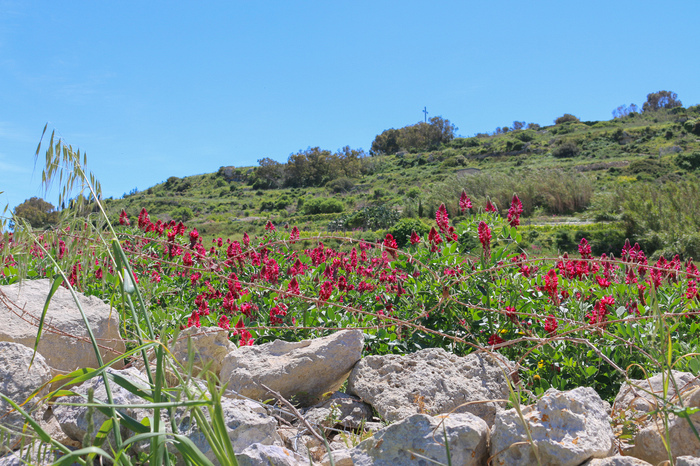 As we cycled down the final hill we could see a small crowd assembled at the top of a cliff. We parked our bikes and tiptoed to the edge to look over. It was a long way down, really long. “Who’s ready to abseil?” asked a jovial man in full harness. As we listened to safety instructions he pointed out that a 4-year-old was already heading down the cliff, trying to bolster our courage with the potential embarrassment of not doing it. As soon as I heard about the youngster I knew my 5-year-old daughter would love this. I headed back to the bus and told her that a 4-year-old was abseiling down the cliff and asked if she would like to come. Can you imagine the response? She jumped out of her seat, giddy with glee. My somewhat reserved son announced he would stay on the bus. And so we found our 5-year-old gearing up with a harness to abseil down an 18-meter sheer cliff on the coast of Malta. I took a moment to ponder what kind of parent I was to put my daughter at risk. Then I looked at her delighted expression and had to admit, a pretty darn awesome parent! Josh went down first, as the guinea pig, and I soon followed. Mia was placed with a guide who helped her slowly walk backwards down the 5 storey drop. I continually chastised myself for forgetting my GoPro on such an awesome occasion. Darn! I was far too preoccupied watching my daughter scale down the cliff than I was with my own journey and, before I knew it, I was on back on horizontal ground again cheering my daughter on. When Mia reached the bottom she got a rowdy round of applause from fellow climbers and staff alike. She had such an accomplished look on her face, triumph shone from her wide smiling eyes. For all the times I felt bad that she wasn’t going to school, and attending birthday parties with friends I suddenly saw how ridiculous my reservations were. My daughter scaled a cliff. In Malta. What a life. Once we soaked up the view of the deep blue sea and towering cliffs we had just descended, we started climbing back up. We clumsily made our way up the steep steps where our bus awaited. My daughter knows no fear. 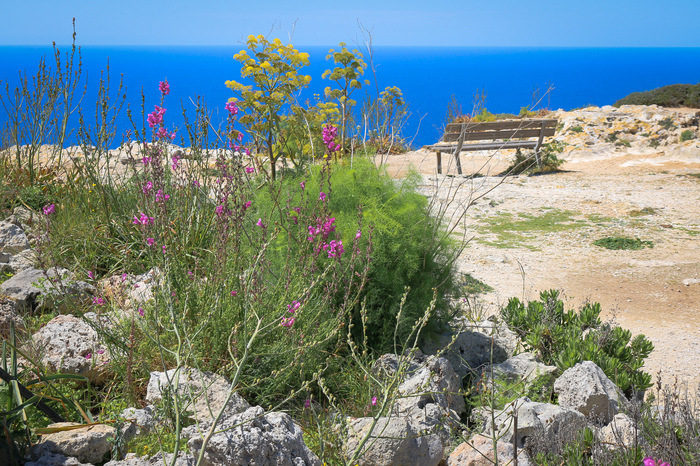 For more details about booking The Ghar Lapsi Abseil, check out Malta Outdoors. After all the excitement and physical exertion we had worked up quite an appetite. Our guide had made a booking for us at a brand new restaurant nearby, Diar Il Bniet. Our group shared a platter of traditional Maltese food which was delicious: olives, sundried tomatoes, sausage, cheese, dips and more. I was full before our main course ever arrived. 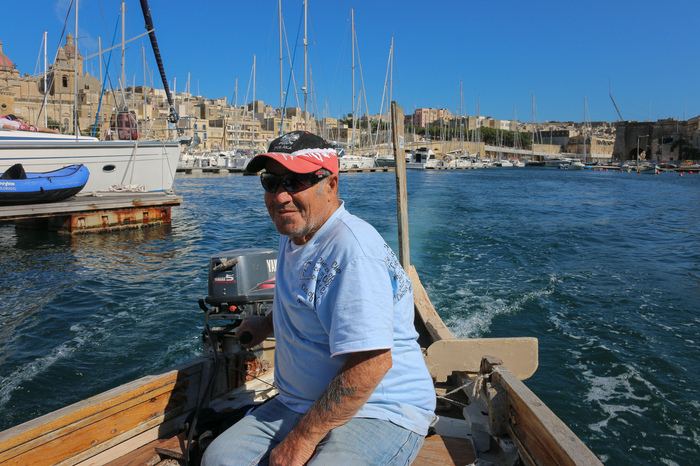 Via the mini bus we were driven down to the Grand Harbour where we took a step back in time for a regatta boat ride. We split into 3 groups for a race across the harbour. Josh and I won first place for artistic water patterns by spinning in circles with our awesome and unconventional paddling technique. 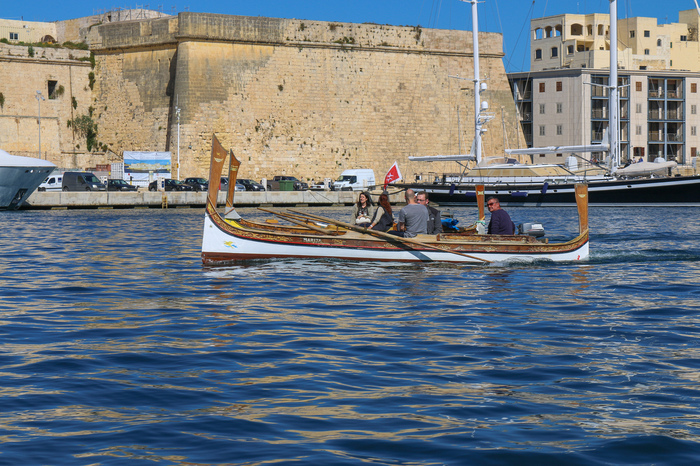 Getting out on the water is a definitely the best way to appreciate the sheer scale of Malta’s historic fortified walls, and of course, the views from the harbour exquisite. With full bellies and a solid day of touring and exercise behind us, we were ready for a nap. Our tour bus dropped us back off at our hotel and we tucked the kids into their cosy beds, and then ourselves. What a tour, Malta! You put on your best stripes for us and we were completely impressed. You should really be very proud with your daughter! I must admit.. I didn't want to do abseiling until I saw your daughter going down fearless. You are a good mother giving her the possibility to grow up bravely. Malta looks absolutely beautiful and I love abseiling. That is so awesome your daughter got to experience that at such a young age. What a memorable day for your daughter (and you!) -- this is a perfect reminder of the transformative power of travel.